Digital marketing encompasses many moving pieces that work together to generate interest, nurture leads, and close sales. However, it’s important that you know the ins and outs of each digital marketing tactic and how they can help your business if you want to get the most out of your marketing budget. Let’s start with the most common question – what is social media management? In today’s post, we are going to answer all of the questions running through your head about “What is social media management?” Then, we’ll go into a bit more detail about why social media management is important and discuss how a social media management company can help you see better results with your company’s social campaigns. Facebook – Facebook has nearly 2 million monthly active users who come from diverse backgrounds. There is also a nice balance of genders and age groups when it comes to Facebook’s user-base. This makes it a great social platform for businesses that are trying to reach a wider audience. Instagram – Instagram is a great social media channel for brands that create a lot of visual content. Instagram’s audience tends to be on the younger side with more female users than male users. This can be a great platform for businesses selling products or services related to fashion, lifestyle, art, or other visual-focused industries. Twitter – Twitter has 328 million active users worldwide and tends to be where users go for news and trends. This platform is ideal for brands that want to join a conversation about trending topics in their industry. It’s also a great place to share content with influencers and other individuals who might find your brand valuable. LinkedIn – LinkedIn is the social media platform for B2B brands that are targeting businesses in different industries. With LinkedIn, you can find, interact, and share content with people based on the company type, industry, or job title. YouTube – YouTube has become the second largest search engine in the world, second only to Google. You can upload your video content to this channel to help engage and connect with your audience. With unlimited video hosting, your business can post as much video content as you want and share through other channels. Pinterest – Pinterest is another great channel for sharing image-focused content. This has become a must for consumers who are interested in DIY, crafts, home improvement, nutrition, fitness, fashion, and more. If your brand sells a product or service that lends well to imagery, then Pinterest may be worthwhile. Choosing the right social media channels for your brands depends on your audience and goals. Developing a social media strategy is an important part of making sure that each of your campaigns is helping you get closer to meeting your marketing goals. After you have decided which channels you plan to use, you’ll need to consider how often you plan to post and what types of content you will post. Start by considering what you know about your audience. What type of content do they like best? Develop content that’s engaging but also speaks to their needs and challenges. If you need help getting started, check out these social media marketing ideas. You should also consider how you plan to make engagement and response a consistent part of your social media management. Do you plan to reach out to fans and followers and start a conversation? How often will you respond to questions and concerns posted to your page? Do you plan to use contests to engage your audience? All of this should be somewhere in your social media strategy. Creating an editorial calendar for your social media management is a good way to keep your business on track when it comes to a social media schedule. You can customize this editorial calendar in a way that works for your business. Just be sure to include basic information like the posting date, content, and any link or image. A big part of social media management is creating and publishing social media content across your company’s profiles. This involves not only writing copy but also developing creative in the form of images or video. In addition to their own content, many businesses will also share curated content from third-party sources on relevant topics. This aspect of social media management requires you to have an in-depth understanding of both the social media platforms and your audience. You need to know what the best practices are for creating content on the channel. But you will also need to know what type of content and topics appeal most to your target audience. Responding to fans and followers on your social media platforms is an important part of social media management. When an individual comments on your page with a question or concern, this presents a new opportunity for you to provide value for your leads while also demonstrating excellent customer service. As part of your social media management, your business should routinely check for comments or messages across your social platforms. Think carefully before replying as the response will often be public. Don’t have time to do this? Our specialists at LYFE Marketing monitor accounts every single day, and as a best practice they always reply to followers within 24 hours. Are you responding to your social media followers? Or leaving them in the dark? Engaging with social media users goes beyond just responding to fans or followers who comment on your business page or send a message. This often includes seeking out new leads or other opportunities and starting a conversation with them on the platform. Building relationships with influencers can help you expand your reach over time. If there are certain individuals or organizations in your industry that have a significant following, your business can reach out to them to find new opportunities to share your valuable content with their user-base. For example, posting ads on Facebook can help drive more revenue for your business as it allows you to reach new leads who are similar to your best customers. These are individuals who may have never encountered your brand or site in the past, but are encouraged to visit after seeing relevant content from your Facebook ad. Ads like these can be used to target consumers who are most likely to be interested in your products or services. Social media contests and giveaways are an effective way to keep your audience engaged while growing your fan or follower base. Whether you use a simple drawing or ask users to submit their own content, there are plenty of ways that you can use contests to drive more traffic to your pages. If you plan to create contests or giveaways, then managing this process will be part of your company’s overall social media management tasks. Managing a contest involves creating rules and guidelines, accepting submissions, choosing a winner, and following through with the promised prize or giveaway. As with any other type of digital marketing tactic you employ, you’ll want to make sure that you track and measure your social media campaign results over time. This is the only way to know if your campaigns are successfully helping you meet your marketing goals. Not to mention, this is how you will determine your social media ROI and decide if you’re putting your resources to the best use. Tracking your performance also helps you identify areas of improvement. Once you know what needs work, you can start taking actionable steps to improve your social media strategy. This will enable you to boost results now and in the future. Additionally, social media management is cost-effective. Small businesses often have to do more with less when it comes to their marketing budget. Social media management allows you to experience significant results when it comes to lead generation and conversion. This eliminates high out of pocket costs that come along with traditional marketing tactics like billboards or TV ads. 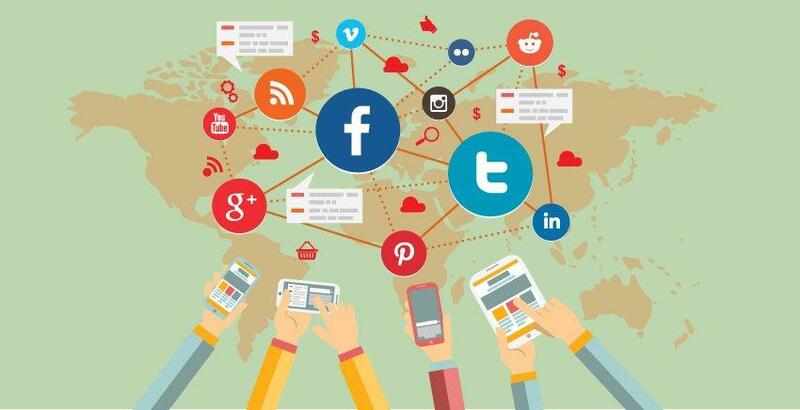 These are just a few of the benefits of social media marketing for your small business. Knowing what is social media management and why it’s important is only half the battle. Now, you have to put that knowledge to use and start making decisions about your company’s social media management. For many small businesses, there just isn’t enough time or resources to dedicate to effective social media management. Posting quality content consistently takes a lot of time and effort that some small business marketing teams just don’t have. Not to mention, you may not have anyone on your team with the expertise or skills needed to implement effective campaigns. This is where a social media management company comes in. A social media management company like LYFE Marketing helps supplement your digital marketing efforts by providing expert social media services. Not only do they have the time to dedicate to implementing your campaigns, but they also have the skills and knowledge needed to ensure that your social media efforts are a success. By this point, there should no longer be a question about what is social media management so the next time a colleague asks you “What is social media management?” you’ll be able to answer their question and refer them to an informational blog. Now that you know what is involved with effective social media management and why it’s important to your business, it’s time for you to make an educated decision about your own social media management. Will you use your in-house resources? Or partner with a social media management company that will enable you to focus on your core business? When it comes to social media management, you don’t have to go it alone. As a social media management company, LYFE Marketing offers a range of digital marketing services from social media management to social ad strategy and development. With our team behind you, there’s nowhere to go but up. Contact us today if you’re ready to take your social media marketing to the next level! Questions or comments? Drop them below, and a specialist will respond within 24 hours. Your Content Was Helpful And Wonderful.